Bump & Hustle presents GROOVIN' every last Friday of the month upstairs at the trendy Market House Bar & Restaurant in the bustling heart of Brixton right on Coldharbour Lane. 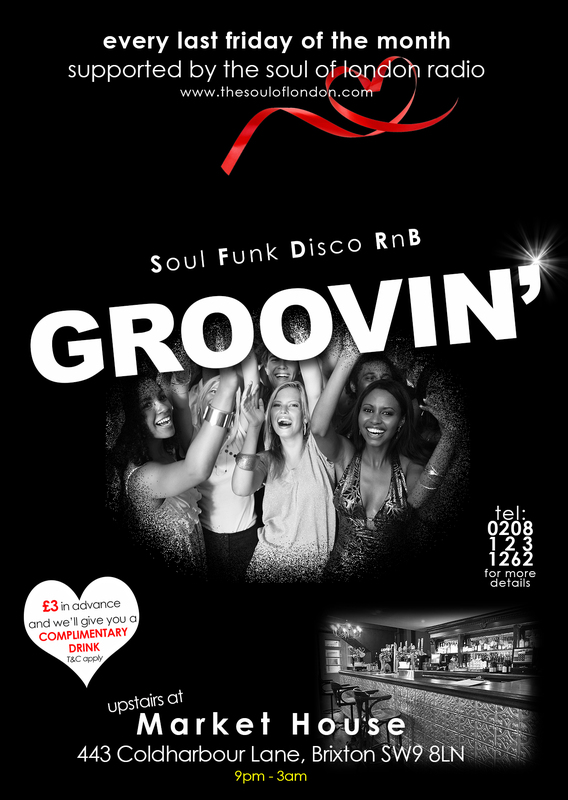 Come and join some of the DJs on The Soul Of London Radio playing the best in Soul, Funk, Disco, RnB and more. Admission is normally £5 but all NAPTG Members get in FREE! All you have to do is email us before 7pm and get you and your friends on the FREE guest list all night. Failing that it's £5 all night.